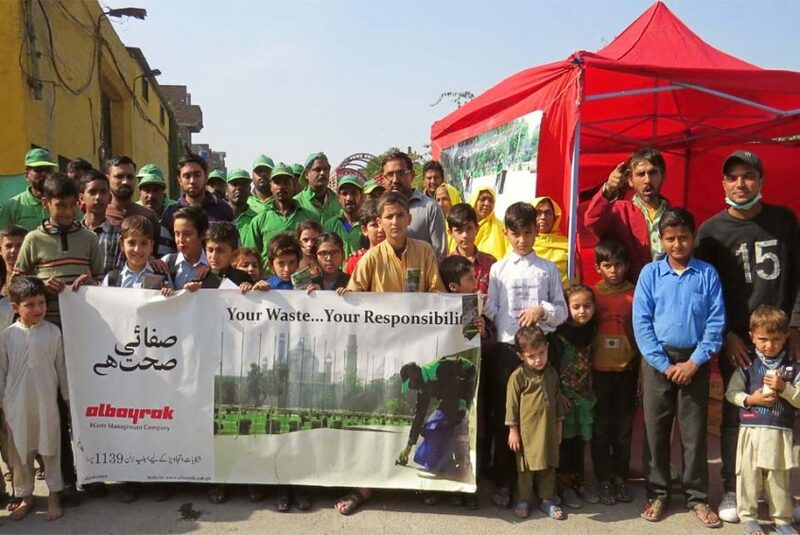 Lahore: To register the support of maximum number of people in keeping Lahore clean, Albayrak Waste Management is carrying out weekly awareness drives under its campaign “Choti si Zimmadari.” One such drive was carried out in Ali Park, UC-17 on Friday. Albayrak team established an awareness camp on Bhogewal Road showcasing awareness literature where the citizens were requested to throw waste in the waste bags and bins and to ensure sanitation in routine activities. The sanitary workers distributed awareness brochures among the residents, shopkeepers, rickshaw drivers, motorbike riders and pedestrians. The one-day activity was concluded with an awareness walk.